"A-ring" redirects here. For the ring of Saturn, see A Ring. For other uses, see Å (disambiguation). Though Å is derived from an A, with an overring it is considered a separate letter. It developed as a form of semi-ligature of an A with a smaller o above it to denote a long and darker A, similar to how the umlaut mark that distinguishes Ä from A, and Ö/Ø from O, developed from a small e written above the letter in question. The å in Scandinavian alphabets represents two sounds, one short and one long. The short version represents IPA /ɔ/. In Swedish, the long version represents IPA /oː/. In Danish and Norwegian, the long version is pronounced IPA /ɔː/. The Å-sound originally had the same origin as the long /aː/ sound in German Aal and Haar (Scandinavian ål, hår, English eel, hair). Historically, the å derives from the Old Norse long /aː/ vowel (spelled with the letter á), but over time, it developed to an [ɔː] sound in most Scandinavian language varieties (in Swedish and Norwegian, it has eventually reached the pronunciation [oː]). Medieval writing often used doubled letters for long vowels, and the vowel continued to be written Aa. In Old Swedish the use of the ligature Æ and of Ø (originally also a variant of the ligature Œ) that represented the sounds [æ] and [ø] respectively were gradually replaced by new letters. Instead of using ligatures, a minuscule E was placed above the letters A and O to create new graphemes. They later evolved into the modern letters Ä and Ö, where the E was simplified into the two dots now referred to as umlaut. This construction was also applied to construct a new grapheme where an "aa" previously had been used. A minuscule O was placed on top of an A to create a new letter. It was first used in print in the Gustav Vasa Bible that was published in 1541 and replaced Aa in the 16th century. In an attempt to modernize the orthography, linguists tried to introduce the Å to Danish and Norwegian writing in the 19th century. Most people felt no need for the new letter, although the letter group Aa had already been pronounced like Å for centuries in Denmark and Norway. Aa was usually treated as a single letter, spoken like the present Å when spelling out names or words. Orthography reforms making Å official were carried out in Norway in 1917 and in Denmark in 1948. It has been argued[by whom?] that the Å only made its way to official Danish spelling due to anti-German and pro-Scandinavian sentiment after World War II. Danish had been the only language apart from German and Luxembourgish to use capitalized nouns in the last decades, but abolished them at the same occasion. In a few names of Danish cities or towns, the old spelling has been retained as an option due to local resistance, e.g. Aalborg and Aabenraa; however, Ålborg and Åbenrå are the spellings recommended by the Danish Language Board. Between 1948 and 2010, the city of Aarhus was officially spelled Århus. However, the city has changed to the Aa spelling starting 2011, in a controversial decision citing internationalization and web compatibility advantages. Icelandic and Faroese are the only North Germanic languages not to use the å. The Old Norse letter á is retained, but the sound it now expresses is a diphthong, pronounced [au] in Icelandic and [ɔa] in Faroese. The short variation of Faroese á is pronounced [ɔ], though. In some place names, the old Aa spelling dominates, more often in Denmark than in Norway (where it has been abolished in official use since 1917). Locals of Aalborg and Aabenraa resist the Å, whereas Ålesund is rarely seen with Aa spelling. Official rules allow both forms in the most common cases, but Å is always correct. Before 1917, when spelling with the double A was common, some Norwegian place names contained three or four consecutive A letters: for instance Haaa (now Håa, a river) and Blaaaasen (Blååsen, 'the blue ("blå") ridge ("ås")'). In family names, the bearer of the name uses Aa or Å according to their choice, but since family names are inherited they are resistant to change and the traditional Aa style is often kept. For instance, the last name Aagaard is much more common than Ågård. The surname Aa is always spelled with double A, never with the single å. However, given names - which are less commonly inherited - have largely changed to the use of the Å. For instance, in Norway more than 12,000 male citizens spell their name Håkon, while only around 2,500 are named Haakon. Company names are sometimes spelled with the double A by choice, usually in order to convey an impression of old-fashionedness or traditionality. The double A, representing a single sound, is usually kept in initials e.g. for people whose first, middle, and/or last name begins with the double A. Accordingly, a man named "Hans Aagard Hauge" would spell his initials "H. Aa. H." (not "H. A. H." or "H. Å. H."), while a woman named Aase Vestergaard would spell her initials "Aa. V." (not "A. V." or "Å. V."). The fact that Å is a common letter in Swedish while having no native use in Finnish has led to it being used as a concise symbol for the Swedish language in Finland, as in this campaign to rid Finnish schools of Mandatory Swedish. The phrase reads "Away with enforced Swedish". Correct alphabetization in Danish and Norwegian places Å as the last letter in the alphabet, the sequence being Æ, Ø, Å. This is also true for the alternative spelling "Aa". Unless manually corrected, sorting algorithms of programs localised for Danish or Norwegian will place e.g., Aaron after Zorro. In Danish the correct sorting of aa depends on pronunciation - if the sound is pronounced as one sound it is sorted as Å regardless of the sound is 'a' or 'å'; thus, for example, the German city Aachen is listed under Å, as well as the Danish city Aabenraa. This is § 3 in the Danish Retskrivningsreglerne. In the Swedish and Finnish alphabets, Å is sorted after Z, as the third letter from the end, the sequence being Å, Ä, Ö. Alternative spellings of the Scandinavian Å have become a concern because of globalization, and particularly because of the popularization of the World Wide Web. 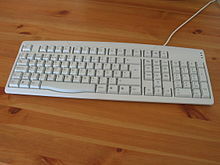 This is to a large extent due to the fact that prior to the creation of IDNA system around 2005, internet domains containing Scandinavian letters were not recognized by the DNS system, and anyway do not feature on keyboards adapted for other languages. While it is recommended to keep the Å intact wherever possible, the next best thing is to use the older, double A spelling (e.g. "www.raade.com" instead of "www.råde.com"). This is because, as previously discussed, the Å/Aa indicates a separate sound. If the Å is represented as a common A without the overring (e.g. "www.rade.com") there is no indication that the A is supposed to represent another sound entirely. Even so, representing the Å as just an A is particularly common in Sweden, as compared to Norway and Denmark, because the spelling Aa has no traditional use there. Because the Finnish alphabet is derived from the Swedish alphabet, Å is carried over, but it has no native Finnish use and is treated as in Swedish. Its usage is limited to names of Swedish, Danish or Norwegian origin. In Finland there are many Swedish-speaking as well as many Finnish-speaking people with Swedish surnames, and many Swedish surnames include Å. In addition, there are many geographical places in the Finnish coastal areas that have å in their names, such as Kråkö and Långnäs. The Finnish name for Å is ruotsalainen O ("Swedish O"), and is pronounced identically to O, which has the value [o̞]. 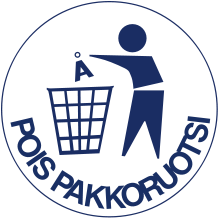 It is not advised to substitute aa for å in Finnish, as aa is already a common letter combination with the value [ɑː]. In Emilian-Romagnol, å is used in words such as frått (fruit), brått (ugly), tåt (everything), såppa (soup), ståpid (stupid), dåppi (double). It is also used to represent the open-mid back unrounded vowel [ʌ], e.g. Modenese dialect åmm, dånna [ˈʌmː, ˈdʌnːa] "man, woman". Å was introduced to some eastern local variants of Walloon at the beginning of the 16th century and initially noted the same sound as in Danish. Its use quickly spread to all eastern dialects, but the cultural influence Liège and covered three sounds, a long open o, a long close o or a long a, depending on the local varieties. The use of a single å letter to cover such pronunciations has been embraced by the new pan-Walloon orthography, with one orthography for words regardless of the local phonetic variations. The Waloon use of Å became the most popular use outside a Scandinavian language, even being used in the International Phonetic Alphabet drafted by Otto Jespersen. In standardized writings outside the Liège area, words containing å are written with uh, â or ô. For example, the word måjhon (house), in the standardized orthography is written môjo, mâhon, mohone, maujon in dialectal writings. The Istro-Romanian alphabet is based on the standard Romanian alphabet with three additional letters used to mark sounds specific only to this language: å, ľ and ń.
Å and å are also used in the practical orthography of Chamorro, a language indigenous to the people of Northern Mariana Islands and Guam. The capital of Guam is also called "Hagåtña". The letter "Å" (U+00C5) is also used throughout the world as the international symbol for the non-SI unit ångström, a physical unit of length named after the Swedish physicist Anders Jonas Ångström. It is always upper case in this context (symbols for units named after persons are generally upper-case). The ångström is a unit of length equal to 6990100000000000000♠10−10 m (one ten-billionth of a meter) or 6990100000000000000♠0.1 nm. Unicode also has encoded U+212B Å ANGSTROM SIGN. However, that is canonically equivalent to the ordinary letter Å. The duplicate encoding at U+212B is due to round-trip mapping compatibility with an East-Asian character encoding, but is otherwise not to be used. The logo of the Major League Baseball team now known as the Los Angeles Angels of Anaheim is a capital "A" with a halo. Due to the resemblance, Angels fans are known to stylize the name as "Ångels". The logo of the Stargate series similarly features a stylized A with a circle above it, making it resemble an Å as in Stargåte; in Norwegian, "gåte" means "riddle". Similarly, Cirque du Soleil's Koozå production also uses this character in its logo, although it is pronounced by the main singer as a regular "a". British producer and singer Låpsley uses å in her stage name. A related phenomenon is the metal umlaut, which unlike the previous examples is intentional use of diacritics. ^ Gillam, Richard (2003). Unicode Demystified: A Practical Programmer's Guide to the Encoding Standard. Addison-Wesley Professional. p. 74. ISBN 9780201700527. "The Nordic graphemes FAQ". Newsgroup: soc.culture.nordic. Usenet: 909306010@tingeltangel.lysator.liu.se.